Roof One : Keeping Your Home Safe from Water Damage: Should You Invest in Gutter Screens? Keeping Your Home Safe from Water Damage: Should You Invest in Gutter Screens? While they aren’t mandatory, gutter screens can give you an excellent solution to the age-old problem of having to replace old gutters too often, or needing to keep them in check by performing routine cleaning and maintenance work 2-3 times per year. In fact, most of the licensed roofers experienced in roofing Commerce MI homes highly recommend them. The question is, would it actually be worth the expense to have gutter screens installed? The cost of gutter screens per square foot can be as little as $1-$3 for materials only and up to $30 per square foot, if you choose some of the highest quality products on the market. As a result, the range you can consider will differ depending on the quality and durability of the materials, the complexity and difficulty of the installation job and the size of your home. Of course, living in an area with problematic weather conditions will also involve a greater necessity for better quality gutter screens. In such cases it is worth to invest as much as $2,000 or $3,000 per installation, since the alternative would be to leave your home exposed to severe water damage over the course of a limited amount of time. If you feel having new, top quality gutter screens installed by a professional might be too expensive, one option would be to install them yourself. A DIY job may be somewhat difficult, but it can save you $2 to $12 per foot in the case of aluminum gutter screens and even more if you choose screens with mesh filters, surface tension solid covers or custom combination gutters/covers. 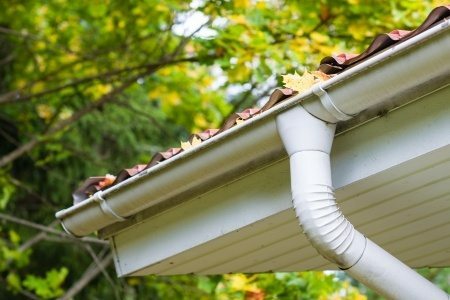 First Posted here: Keeping Your Home Safe from Water Damage: Should You Invest in Gutter Screens?